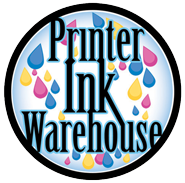 The service I received from The Printer Ink Warehouse was off the charts in my experience and I wanted to share that. I am a 63 year old consumer, and have bought many a product and dealt with many a company in all those years I have been around. I started out a month ago just needing some refill ink for my Canon printer. After ordering and quickly (3 days) receiving my order, I bought another Canon printer that required pigmented black ink instead of dye type ink. I asked through email numerous detailed questions about the difference, importance, etc. thinking I could use either ink. One of the staff, who read my email, on her own initiative, reviewed my previous order, thoroughly explained the differences, answered all my questions in detail, and called me to let me know that, besides their recommendation, they would be happy to take back any unopened ink, which was quite a bit, and offered to handle an exchange to help me save some money. It had not even crossed my mind, and though I chose to just order another large bottle of the pigmented black ink and keep the rest, that kind of service, in a very courteous way, initiated by them, is very rare in my experience. They have clearly gotten my vote for one of the best customer experiences I have had, and I still have my memory!!!!!!!!! My experience is that kind of service is the norm with them, based on several past orders. My new order, by the way, was with free shipping and took two days. MacWain P. It is a pleasure to do business with you. I’m sure you get your fair share of e-mails complaining about one thing or another, but I had to write and tell you how impressed I am with your company. This is the second time I have ordered ink from you and the second time that I have been blown away by your awesome customer service. I ordered my ink around mid-morning on Saturday and TWO DAYS LATER had my ink in my hand! Is that phenomenal or what?! I also have to commend you for keeping your prices so affordable. I am a foster mother of seven children and I attend college full time. Money is tight and the cost of ink was killing me! I haven’t had the guts to try the refill kit yet, but the same ink that used to cost me $80 (black, magenta, cyan and yellow) in the store now (through you) costs me roughly $27 including shipping! That’s incredible! Please know that you are appreciated and I take every opportunity to tell others about you and your wonderful team and their awesome customer service. You are a rare gem among online retailers and I wish you many years of success! Thank you, thank you, thank you! thanx so much for making good on this--i received the new cartridge, and it works perfectly. as you instructed, i've repackaged the faulty cartridge and am sending it back to you tomorrow. i'm really impressed with the way you handled this--even finding my original order after i had long thrown the paperwork away! will definitely place all future orders with you and will refer my friends. I just wanted to send a note of "thanks". You have provided me with a wonderful solution to a problem. I am an artist and i also dabble in photography. I was excited about getting a scanner and printer with my pc, but my enchantment was short-lived the first time i had to spend $65 on ink cartridges. I have spent a small fortune on ink, and then one day i found your website. I sent for the kit plus ink, and today i refilled my triple-color cartridge as per your instructions. Everything went without a hitch, and i was able to "purge" the excess ink using your color pages. My printer works fantastic!!! It was even fun!!! I am a happy camper. The ink refill kit i received from you is working great. You got a hellofa great product here and i'm sure hp hates you. It obvious the money is in ink cartridge and not printers......this hp 3820 printer works well and only cost $99 dollars.... But the black and color cartridge cost $59.99. I received my ink refills - thank you so much! I had never done this before, but it worked great! Not to mention, it saved me at least $40. You've won a loyal customer. Thanks again! Thanks for helping me with the cartridges. You have really gone out of your way. I will continue to buy ink from you and i will recommend your company to others when i can. It worked beautifully. The indicator shows full now. For some reason the quality of the printings improved. The same phenomenon happened with the color cartridge. There must be a technical reason for it. I suggest that you highly recommend your costumers to adjust the ink level indicator. Thank you again for your kindness and patience. The three bottles have arrived. Great service ! Thanks again. Thank you for the order, the directions were easy to comprehend and execute. The prices were great too and so is the quality. you are right. I got it to work. I had no problem with b/w. I could not get the refilled and reset color cartridge (t027201) to work at first. After turning off and back on the printer, it seemed to work. The print quality is fine - not different from what i saw with the original cartridges. Thanks. I have received the ink refill kit!!! Works like the real thing. I am very satisfied product and with will definitely order again!!! I have referred some friend to your website. Wow!! What great service! As soon as i got off-line with your site my phone rang and it was your customer service calling to confirm my order. He did tell me since my order was after 1pm i would'nt get the order till monday, thought that was fine, i ordered on saturday. Please tell him if you can i got my order by and off duty postal worker on Easter Sunday at 1pm. Wow!! Still in shock!! Best service i have ever had! Keep up the great work. And yes i will tell everybody!